Styled with lily skirt . 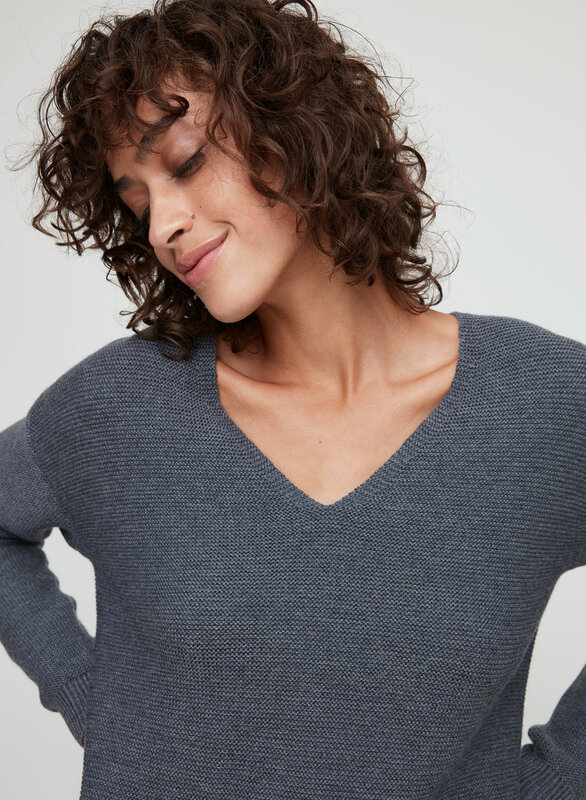 Knit with soft Italian merino wool in a textural tuck stitch, this Wilfred Free staple is effortless and cozy. We've updated the fit to make it even more flattering. It’s basically the same as it shows in the picture. Fits comfortably, it’s a great sweater. The v is not too low, I still like to wear a shirt under it though. I ordered it in a “dark sunkissed” and online it looked like a dark yellow colour and when it arrived it was a green/yellow colour I hate. Not true to what is described and showed online. Cozy and comfortable! I think I could have gone a size down but decided to keep it anyway. Pretty powder blue Color. 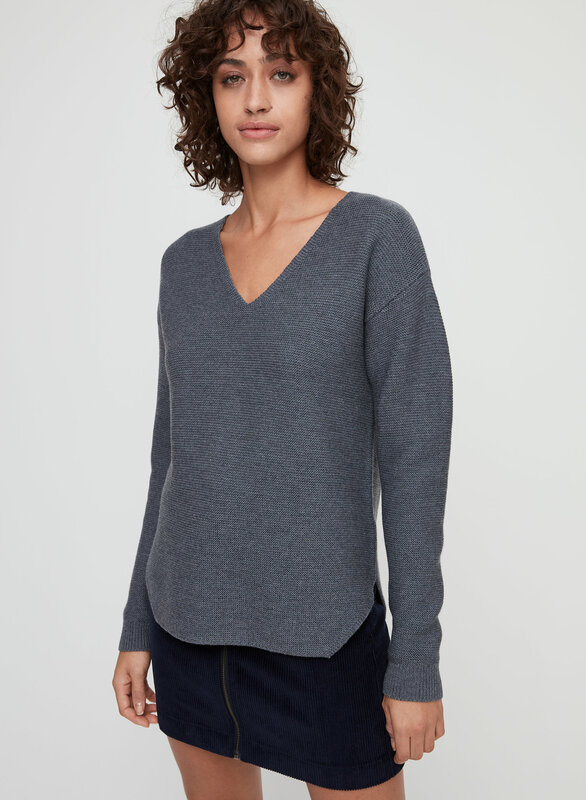 This sweater has low v neck that works nicely with a layer underneath. 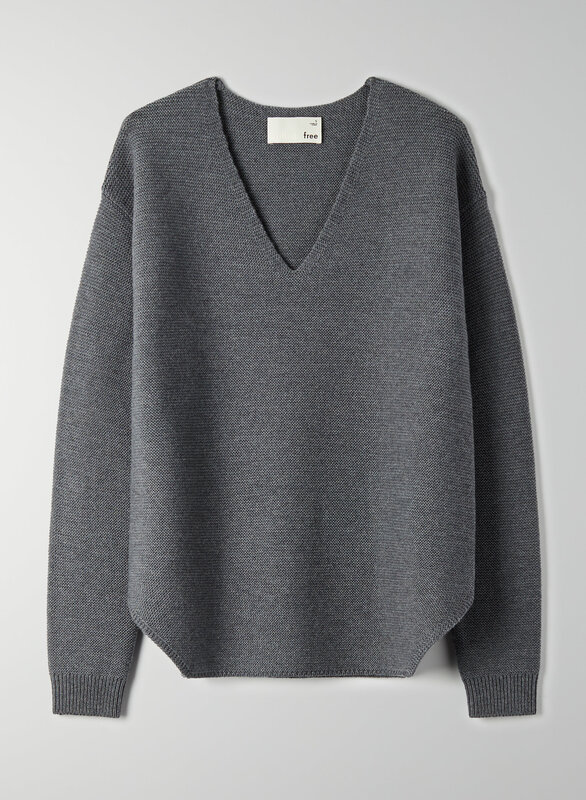 I love the detail at the hip level—makes the sweater drape nicely. Quality material!